Armistice Day ... Veterans Day ... Remembrance Day ... the name is not always the same depending on the country, but the recognition is. This is a day to acknowledge the World War One Veterans who are still with us as well as remembering the World War One Veterans who have passed on. 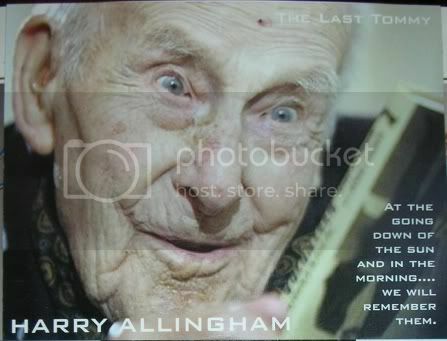 The world, and specifically Britain, lost two Veterans of the Great War in 2009: Henry Allingham and Harry Patch. Henry Allingham was a founding member of the Royal Air Force and was the last surviving Veteran of the Battle of Jutland. Although he was assigned to fly, he experienced the horrors of the ground one evening. While searching for debris, he fell into a trench that was filled with arms, legs, flesh, dead rats and water. Despite the shock of the experience, he lived to become Britain's oldest verified man ever and was prior to his death, the oldest man in the world at that time. In World War Two, he worked to neutralize German mines. 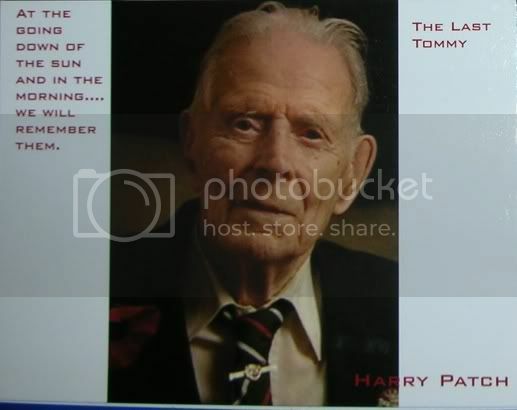 Harry Patch was the last survivor of Passchendaele, a Battle that included a German private by the name of Adolf Hitler. While in the trenches, he was wounded in action and witnessed three of his friends die. He is considered the last Tommy and was the oldest man in Europe before his death. He saw some action in World War Two as a fireman during the Baedeker Blitz raids. 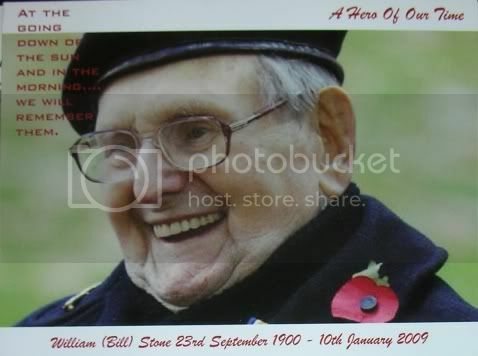 Although Bill Stone was in basic training during World War One, some have included him in its roster. He passed away in 2009 as well. In World War Two, he was involved with picking soldiers up from beaches and was torpedoed on two occasions. Some of you may have seen a video of the Ceremony at the Cenotaph in 2008. It was the 90th Anniversary of the Armistice. Those who were there personally will keep the memory with them forever for it was the last time the three men were seen altogether and it was the last time any of them would be alive on November 11.